Since I have been on a cookie kick lately I decided to try making compost cookies with the recipe form Milk Bar in New York City Compost is quite a fitting name as the cookies call for coffee grounds, pretzels, chocolate, butterscotch, and potato chips. 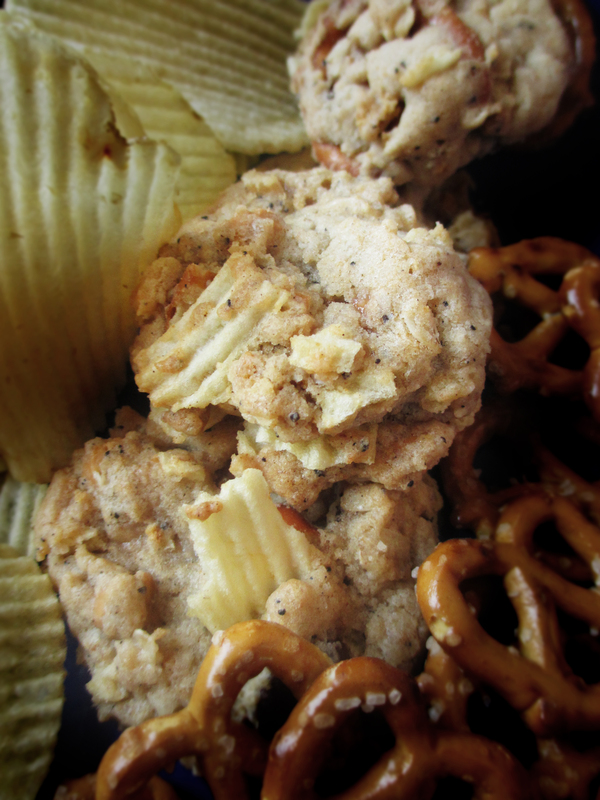 The cookies are incredibly sweet but the chips and pretzels help to provide a balance. I substituted heath bar pieces for half the butterscotch because in my opinion the standard butterscotch pieces are too overpowering. While I was at it I thought, why not throw in some different ingredients and make my own compost cookies with half of the dough. 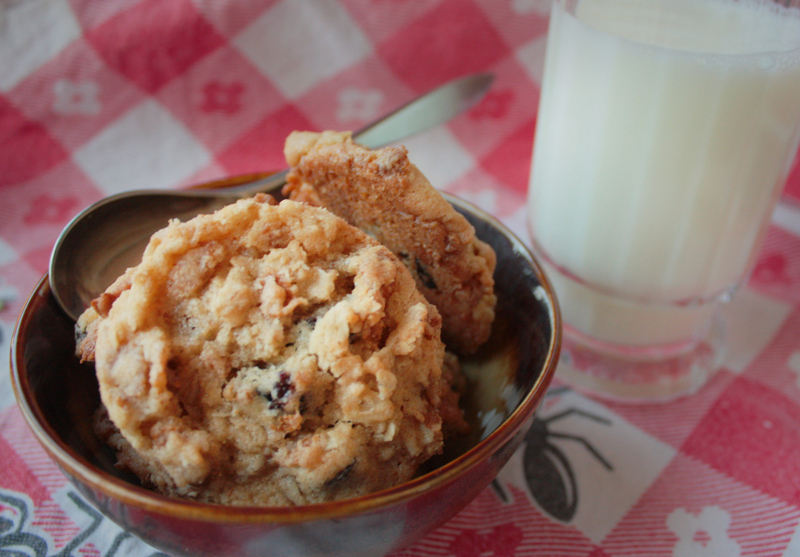 I’ve been loving raisin bran lately so I thought I’d try making a raisin bran cookie, inspired by Milk’s Compost Cookie recipe. The original compost recipe can be found here. Cream together the butter and sugar. Add corn syrup, egg, and vanilla and beat until smooth. In a separate bowl whisk together the flour, baking powder, baking soda, and salt. Add to the wet ingredients and beat until just combined. On low speed mix in the oats, bran flakes, and raisins until homogenous. Chill dough in the refrigerator for one hour. Preheat oven to 375 degrees F. Scoop cookies onto parchment lined cookie sheets and bake 15-20 minutes. I was able to get 12 smaller cookies per sheet, 48 cookies total. 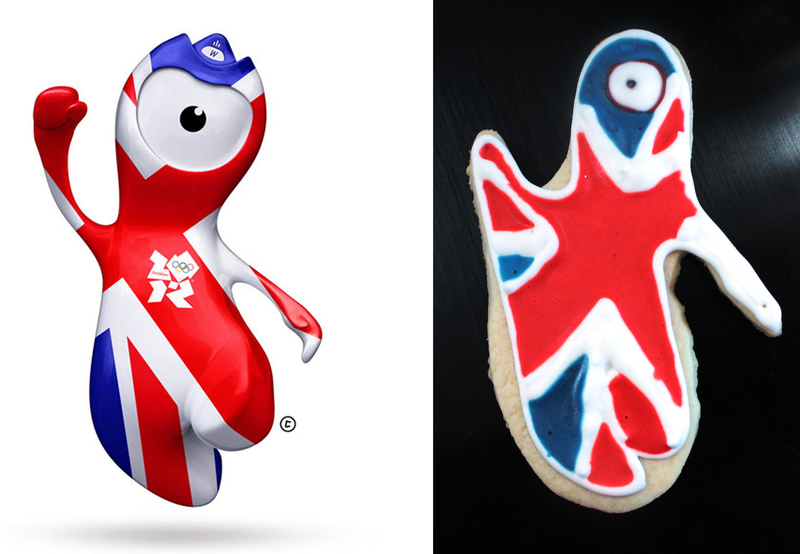 I had been trying to come up with an Olympic themed cookie idea that is something other than rings when my friend suggested a Jack Wenlock cookie. For those of you who haven’t seen him yet, Wenlock is the London Olympic Mascot. His shape has meaning but really he is just a one eyed monster who skates around with a three tiered helmet. I wanted to get more practice with royal icing and this was definitely a challenge. 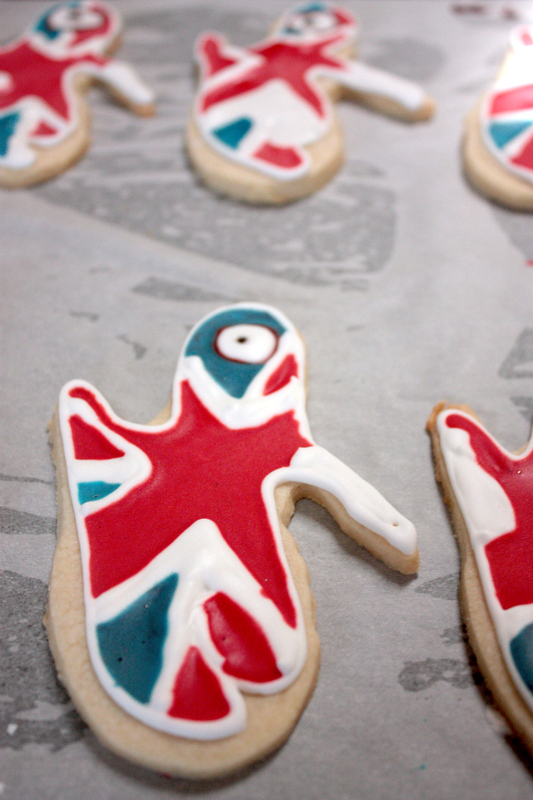 Since Wenlock is such a strange looking creature I had to make my own cookie cutter. I wanted it disposable so I used this tutorial here. I used the sugar cookie and royal icing recipes from Sprinkle Bakes‘ new book and both turned out great. The cookies held their form and tasted great. I also decided to use squeeze bottles instead of piping bags as they are easier to control. In the end I think they came out okay. Well…at least he looks like a one eyed monster. I went a little crazy for the fourth of July this year. I decided to make some gifts for the neighbors as well as some desserts for the crab boil I was invited to. What better to bring to a crab boil then crab cookies? This was my first try at decorating cookies with royal icing and I have to say I definitely need a little work. I’ve been taking a nutrition class and we were challenged to come up with a vegan meal that provided a healthy well rounded meal. Amaranth is one of the few grains that provides a complete protein (quinoa and soy being two others) so I decided to play around with it. This granola recipe was adapted from How to Cook Everything Vegetarian by Mark Bittman and is one of the only recipes I have used that does not rely heavily on oil. Oven at 400 degrees Fahrenheit. 1. In a medium sized saucepan combine the amaranth and the canola oil over medium heat. Amaranth should start to pop after a few minutes. Cook until popping slows and lightly toasted. 2. Place a roasting pan over two burners and turn on medium heat. Pour in oats and toast for about 5 minutes. Add flax seeds, cashews, and pepitas and toast for tw minutes more. 3. Once toasted, add amaranth and drizzle maple syrup over the mixture. Stir to combine. 4. Transfer the roasting pan to the oven and bake for about 15 minutes or until golden brown, stirring once halfway through.